We are not an insurance company. We simply provide a venue for connecting you with Insurance Quotes. We do not issue insurance contracts or bind coverage. Nor do we endorse or recommend any companies or insurance policies that we connect you with. We do not guarantee that any of the insurance agents, brokers and/or companies to whom we may forward your information will contact you or agree to provide you coverage. We are not responsible in any way, for the conduct of the insurance agents, brokers, companies, and/or the employees or contractors of the aforementioned people and entities to whom we forward your insurance quotation requests (“Service Providers”). Your dealings with any such third parties will be done entirely at your own risk, and shall be governed by your agreements with the third parties. We do not provide insurance, tax or financial advice. If you need personal advice, explanation of coverage, assessment of needs or specific policy recommendations, you should consult with a licensed insurance agent, broker, or other qualified professional. 1. This Agreement contains an agreement to arbitrate all claims and disclaimers of warranties and liability. You acknowledge that this agreement is supported by reasonable and valuable consideration, the receipt of which is hereby acknowledged. You acknowledge that the consideration includes, but is not limited to, your ability to visit and/or submit information to this Website. A. You represent that you have the capacity to be bound by this Agreement, or if you are acting on behalf of a company or other entity, that you have the authority to bind such company or entity to this Agreement. B. You must provide accurate information. If you provide information to Commercial Truck Quotes LLC via this Website, then the information provided must be true, current, and not contain a misrepresentation of your identity. C. You are responsible for your financial decisions. Commercial Truck Quotes LLC provides a venue through this Website by which you can obtain information and find third-party service providers, such as insurance agents, insurance brokers, and insurance companies. Commercial Truck Quotes LLC does not endorse or recommend the products or services of any Service Providers and is not an agent or advisor to you or any Service Provider.We do not validate or investigate the licensing, certification or other requirements and qualifications of Service Providers. It is your responsibility to investigate Service Providers. You acknowledge and agree that Service Providers are solely responsible for any products or services that they may provide to you and that Commercial Truck Quotes LLC shall not be liable for any losses, costs, damages or claims in connection with, arising from or related to your use of a Service Provider’s products or services. Commercial Truck Quotes LLC urges you to obtain the advice of financial advisors, insurance agents, brokers or other qualified professionals who are fully aware of your individual circumstances before you make any financial or insurance decisions. You acknowledge and agree that you rely on your own judgment and that of such advisors in selecting any products or services offered by Service Providers. D. You Acknowledge and Agree that Commercial Truck Quotes LLC is Not a Service Provider. Commercial Truck Quotes LLC is not a financial institution, insurance provider or other Service Provider. Instead, Commercial Truck Quotes LLC, through the Website, may help to connect you with Service Providers that might meet your needs based on information provided by you. Commercial Truck Quotes LLC does not, and will not, make any coverage or credit decision with any Service Provider referred to you. Commercial Truck Quotes LLC does not issue insurance coverage or any other financial products. E. No Guarantee of Quotes, Fees, Terms, Rates, Coverage or Services. Commercial Truck Quotes LLC does not make any warranties or representations regarding the quotes, fees, terms, rates, coverage or services offered or made available by Service Providers. Commercial Truck Quotes LLC does not guarantee that quotes, fees, terms, rates, coverage or services offered by Service Providers are the best available. F. You Do Not Pay Fees to Commercial Truck Quotes LLC. 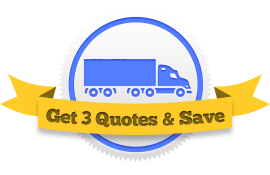 Unless you are a Service Provider or order a specific service through the Website, Commercial Truck Quotes LLC does not charge you a fee to use the Website. Service Providers may pay Commercial Truck Quotes LLC fees for services and to be matched with users of the Website, however. Commercial Truck Quotes LLC is not involved with and is not responsible for any fee arrangement that you may enter into with any Service Provider. You acknowledge and agree to this compensation arrangement. You hereby release Commercial Truck Quotes LLC of any and all losses, costs, damages or claims in connection with, arising from or related to your use of a Service Provider’s products or services, including any fees charged by a Service Provider. 3. Request for Quotes The Website may give you the opportunity to request to be matched with and receive quotes or offers from Service Providers (a “Match Request”). Portions of the Website providing this opportunity (the “Match Request Areas”) are only available to residents of the United States, and may not be available in all states. A. Commercial Truck Quotes LLC make no guarantee that you will be matched with a Service Provider if you submit a Match Request. C. If you make a Match Request, then you expressly authorize Service Providers to contact you by telephone and/or email at the numbers and addresses provided in your Match Request, for purposes of providing you with the quotes, products and services indicated in your Match Request. You also authorize Service Providers to contact you at the phone number(s) publicly available on the FMCSA website. You consent to receive telephone calls from Service Providers, even if the phone number that you provided on your Match Request is on any “Do Not Call” list. You also consent to Commercial Truck Quotes LLC emailing you occasionally about your quote request. D. You are solely responsible for complying with applicable laws and regulations in connection with your use of any services offered by a Service Provider. A. The content and all services and products associated with this Website are provided to you on an “as-is” and “as available” basis. Commercial Truck Quotes LLC makes no representations or warranties of any kind, express or implied, as to the operation of the Website or the information, content, materials, products or services included on or associated with the Website. You expressly agree that your use of the Website and all products and services included on or associated with the Website is at your sole risk. B. Commercial Truck Quotes LLC does not make any representations, warranties or guarantees, express or implied, regarding the accuracy, correctness, or completeness of the content or the services and products associated with the Website, nor the safety, reliability, title, timeliness, completeness, merchantability, conformity or fitness for a particular purpose of the content or the services and products associated with the Website. It is your sole responsibility to independently evaluate the accuracy, correctness or completeness of the Content and the services and products associated with the Website. C. Commercial Truck Quotes LLC makes no representation, warranty or guarantee that the content that may be available for downloading from the Website is free of infection from any viruses, worms, Trojan horses, or other code or computer programming routines that contain contaminating or destructive properties or that are intended to damage, detrimentally interfere with, surreptitiously intercept or expropriate any system, data or personal information. Commercial Truck Quotes LLC does not make any representations, warranties or guarantees, express or implied, regarding any quotes OR OFFERS provided on or through the Website. D. WITHOUT LIMITING THE FOREGOING, YOU ACKNOWLEDGE AND AGREE THAT COMMERCIAL TRUCK QUOTES LLC IS NOT A FINANCIAL INSTITUTION, INSURANCE PROVIDER, OR OTHER SERVICE PROVIDER. YOU ACKNOWLEDGE AND AGREE THAT COMMERCIAL TRUCK QUOTES LLC IS SOLELY AN INTERMEDIARY BETWEEN YOU AND SUCH SERVICE PROVIDERS AND, THEREFORE, COMMERCIAL TRUCK QUOTES EXPRESSLY DISCLAIMS ANY AND ALL LIABILITY FOR ANY CONTENT, PRODUCTS OR SERVICES PROVIDED BY SUCH SERVICE PROVIDERS. E. The content is intended only to assist you with financial decisions and is broad in scope and does not consider your personal financial situation. Your personal financial situation is unique and the information and advice may not be appropriate for your situation. Accordingly, before making any final decisions or implementing any financial strategy, Commercial Truck Quotes LLC recommends that you obtain additional information and advice of your accountant and other financial advisors who are fully aware of your individual circumstances. Commercial Truck Quotes LLC reserves the right to update, amend and/or change this Agreement at any time in its sole discretion and without notice. Updates to this Agreement will be posted here. Amendments will take effect immediately upon Commercial Truck Quotes LLC posting the updated Agreement on the Website. You are encouraged to revisit this Agreement from time to time in order to review any changes that have been made. The date on which this Agreement was last updated will be noted immediately above this Agreement. Your continued access and use of the Website following the posting of any such changes shall automatically be deemed your acceptance of all changes. Judgment upon any award rendered by the arbitrator shall be final, binding and conclusive upon you and Commercial Truck Quotes LLC and your and Commercial Truck Quotes’ LLC respective administrators, executors, legal representatives, successors and assigns, and may be entered in any court of competent jurisdiction. Notwithstanding the previous sentence, in no event shall either you or Commercial Truck Quotes LLC be entitled to punitive, special, indirect or consequential damages and both you and Commercial Truck Quotes LLC hereby waive your and Commercial Truck Quotes’ LLC respective rights to any punitive, special, indirect or consequential damages, including, but not limited to, damages for any loss of profit, revenue or business. Only DMCA notices should be sent to the Copyright Agent. For other comments or questions regarding our Services, please contact us at admin@commercialtruckinsurancehq.com. Sounds Good. Let’s get my quotes!